Krishna University B.Ed. 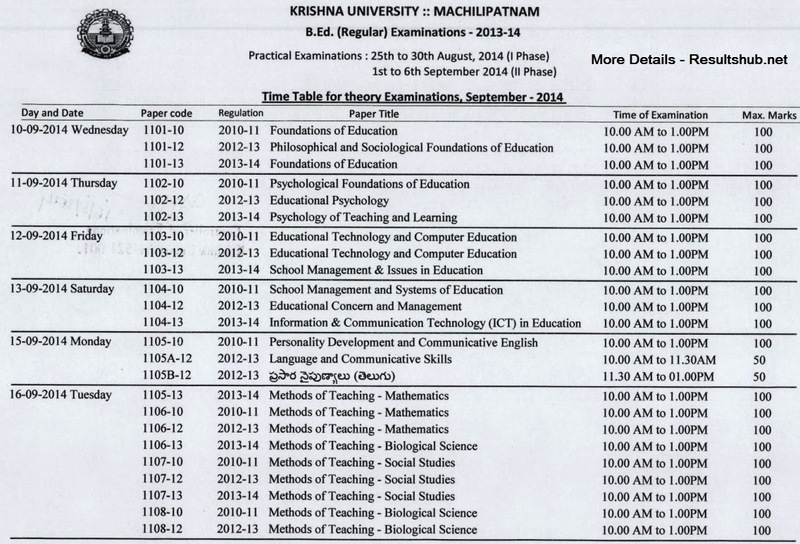 September 2014 Exam Timetable is given below, Check the Timetable of Examination of B.Ed. to be held in September 2014.